This card went all the way over the Atlantic Ocean to Colorado. 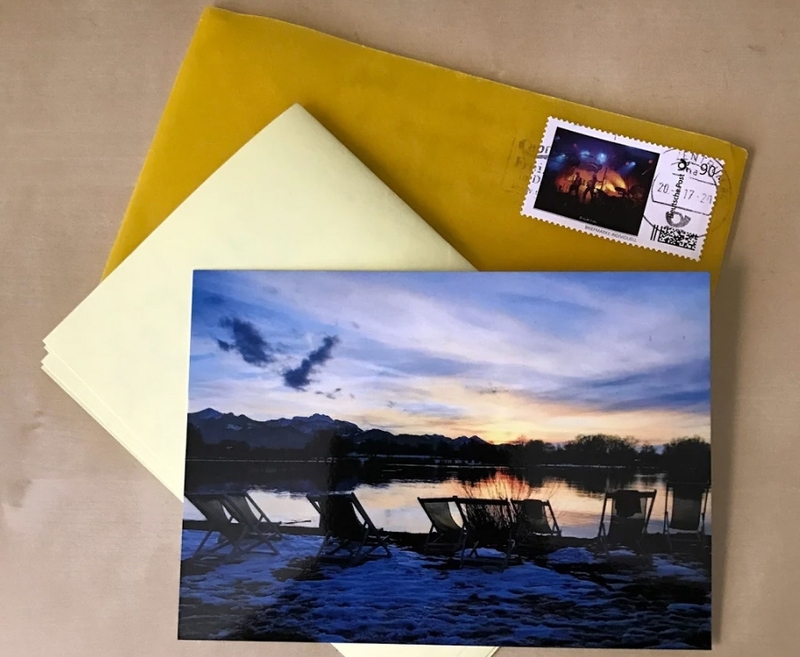 The image on this card was shot at my favorite Bavarian lake - Chiemsee. It's about 30 min. drive from where I live. After a long way of work, being stressed and tired, we would go some place at the lake just to relax enjoy the sunset. This is a special place, that has deckchairs the year through outside (provided it doesn't rain or snow). So you can enjoy here a cocktail sitting in one of those chairs, wrapped in a warm blanket, while sipping a cocktail or just enjoying the sunset. When the sun starts setting the also have a campfire to warm you up, so you can really enjoy your time. All my cards go with a special stamp. The stamp that went with this card is on the first image poster of my hometown for the category culture and it was my photo on it. I'm very proud my image was the very first to be selected for the image posters about 10 years ago. 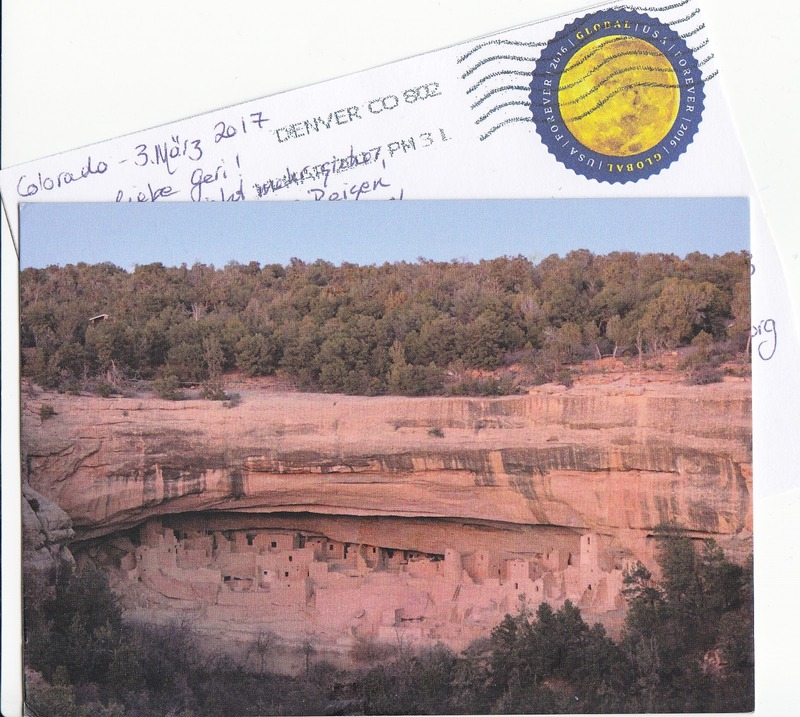 This is the first link in a hopefully endless chain of #LinkingPostcards. CLICK HERE to see all the #LinkingPostcards that already formed a link (card sent and received) on a map. By changing the comment settings, so non Google+Users can comment without having to register for an account first, the below two comments were deleted. Thus a hardcopy of the comments is added to this post.